What is happening in pastryland? In 2015, I described a slow-down and a top-off, as the energy and excitement that I first noticed propelling dessert-making into a new era half a decade ago began to level. And as that unbridled sprint into the unknown, which had charted new and exciting territory, suddenly slowed, the language and form of pastry in this new era seemed to start codifying. In 2016, pastryland reevaluated and realigned itself, and for the first time, started dividing into a new set of tracks, packs, and camps. At least, that is my observation. First, let me say that I am no expert here. The only credential I present is the alarming pace and enthusiasm with which I consume pastries. As in past years, I saw and ate a lot of them all over the world in 2016. So, to the extent that this allows me to comment, I offer the following as anecdote, not science. I recognize that my gallery of sweets is self-selecting, determined by the types of establishments I choose and prefer to visit. And it is in these circles that I’ve noticed trending and clustering. Instead of diversifying, desserts and their makers are succumbing to stereotypes. Three, in particular, take shape. Let me caricaturize them for you. There are the modernists, who reinterpret and deconstruct. They fancy themselves clever, and are prone to fetishizing technique. Their creativity and natural flair for style is often overshadowed by their inability to edit, as their lunar landscapes tend to crowd with too many ideas, few of which seem to ever involve flavor, balance, or coherence. There are the naturalists, who are almost hippie, if not also hip in their minimalism. They do strange things with nuts. They prefer their acids fermented and their grains crunchy. And they’ll reach for vegetables before fruits, roasting them, juicing them, or turning them into ice cream. At its best, this asceticism can be exciting; at its worst, it’s downright comical. And then there are the fundamentalists, a small but focused group that I am thrilled to find reemerging in kitchens across our globe. Unlike many modernists, true fundamentalists focus on technique in order to yield the best result, rather than to show off how much they know. 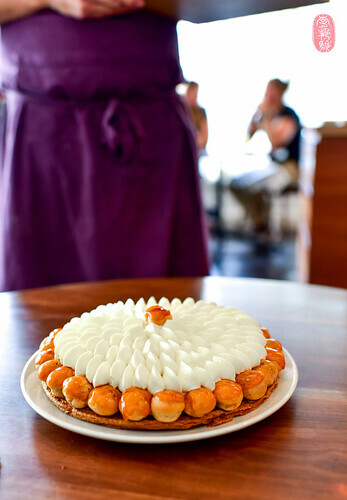 And for this reason, I tend to derive the most pleasure from these kinds of pastry kitchens – as you’ll see, this year’s list of my favorite desserts is dominated by icons of classic technique. But if quality is the fundamentalist aim, sometimes, zealotry is its downfall. Rigidity and idealism kill creativity. On the other hand, if the technique is good enough, you’ll rarely need it. However broad or crass these generalizations seem, they are true and applicable to what I’ve witnessed at the end of my meals recently. Of course, wherever craft meets artistry, borders blur. I would argue some of the best food comes out of the overlap, where the best of two or more pools bleed together. Nos. 1 and 3 on this year’s list are excellent examples of this; the former born of the estuary between modernism and fundamentalism, and the latter an expression of naturalism fortified by fundamentalism. Only time will tell whether these lines soften, harden, or disappear (or whether I even drew them accurately). They say that everything is cyclical. Indeed, history repeats (especially when history is forgotten). And I see the wheel turning in pastryland: the freneticism and creativity that birthed the modernists and naturalists have slowed, and the basic, fundamental tenets of cooking are resurging. I say bravo. Since my list of favorite desserts below focuses on the restaurant pastry kitchen, it neither considers nor represents the vast majority of pastries I had in 2016. 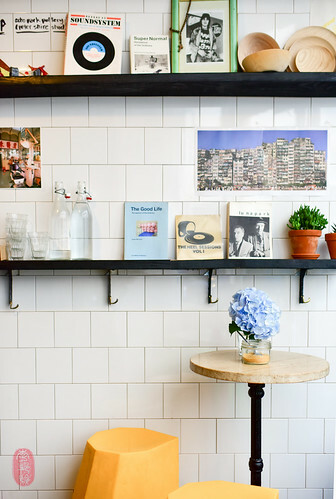 As in the past, I found some gems in cafés, bakeries, and sweet shops worth mentioning. I pause to do so now. If time were a pie chart, my biggest slice would be found in coffee shops. I spend a lot of time in coffee shops, and I am constantly disapointed by how slim and sad the selection of food is at most. So I’m always thrilled when I find something good. The scones at Boot Café in Paris are particularly good. They toast them to order – daringly dark on the crust – and serve them with jam and crème fraîche. 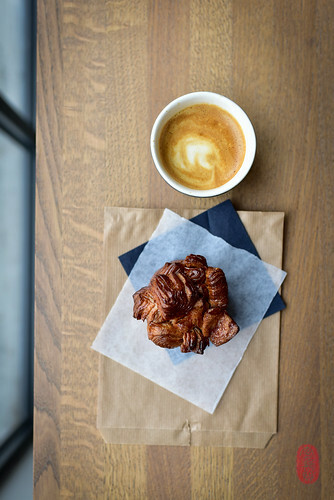 The morning pastries at the corner café of 108 in Copenhagen are also bronzed and beautiful. I wrote about them here. In Stockholm, I found a particularly pretty kardemummabulle (cardamom bun) at Kafé Esaias. It was very tasty too; strong on the cardamom, but not too spicy. And there was a lovely sourdough and black currant sticky bun – surprisingly soft, surprisingly moist – at Fuglen in Oslo, Norway. 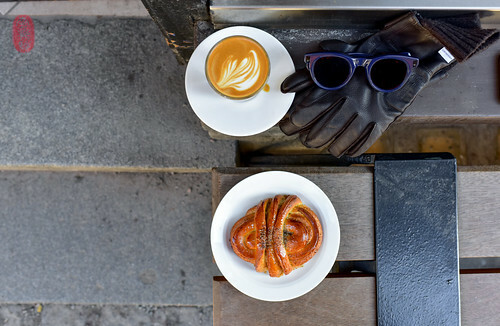 And I found phenomenal croissants and baked goods at Lune Croissanterie , a coffee shop and bakery located in a cavernous warehouse in the Fitzroy neighborhood of Melbourne, Australia. The croissant filled with pandan frangipane and covered in crisp, large flakes of toasted coconut, in particular, was a stand-out. At home in Kansas City, where I ride the coffee shop circuit religiously, I’ve been pleasantly surprised by the increased options lately. I know I can get a decent danish at Black Dog Coffeehouse in Lenexa. It’s owned by the same family that owns Ibis Bakery next door, where the danishes (and much more) are baked. Once in a blue moon, a group of Kansas City creatives – Felicia Koloc (owner of Maker Goods), Kate Morgan, Rob Knecht, and Olivia Tedford – will pop-up at area coffee shops with their waffle iron. Operating under the name Wafel, they make delicious wafflettes with whimsical names, like “Pineapple Princess” – topped with ricotta, pineapple-peach compote, honey, and basil – or “Chupe,” a teff flour waffle with cherries and Kyoto brew. This is just a fun, side project for them, all of whom have non-culinary, full-time jobs. I haven’t seen them in months. Please come back. The cheese biscuits at both Heirloom in Brookside, and PT’s Coffee in the Crossroads district of downtown Kansas City are both terrific in their own way. They’re not sweet, but they deserve a spot here. And in Lawrence, Kansas, about 40 minutes away, Taylor Petrehn is milling some of his own flour, sheeting his own dough, and baking some of the best viennoiserie I’ve had in the country. His brother Reagan takes a studied approach to coffee-sourcing and making. I wrote about their bakery and coffee shop 1900 Barker last year. I continue to applaud their good work. My love affair with pie continues. There’s always good pie at Music To Your Mouth, an annual event I attend and photograph at Palmetto Bluff in South Carolina. I first had Bill Smith’s Atlantic Beach Pie there five years ago. And I was happy to find him making it again for us in 2016. The crust is made of crushed Saltine crackers, and the filling is a curd of lemon and lime. There’s whipped cream, and a dash of sea salt. 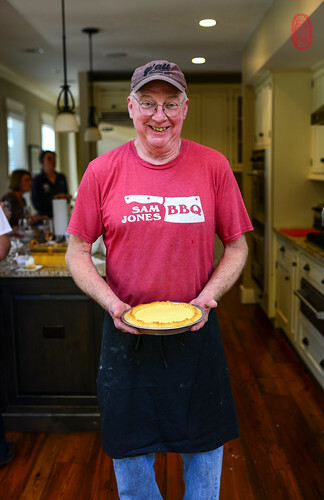 You’ll find the recipe here, and many more of Smith’s recipes from his restaurant Crook’s Corner in his cookbook, “Seasoned in the South“. 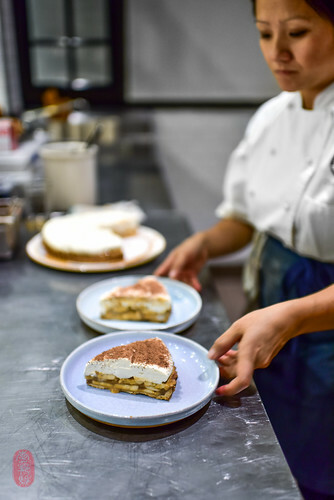 At a Synergy Series dinner at Spoon & Stable in Minneapolis, I was lucky to sneak a slice of April Bloomfield’s banoffee pie – sliced bananas layered with caramelized condensed milk and whipped cream. I’ve had it before at Bloomfield’s Spotted Pig in New York, but you can also make it at home for yourself. Here’s the recipe. And I returned to Rye in Leawood, Kansas again and again for Megan Garrelts’s pies. They’re all fantastic; especially her pumpkin and cream pies. I ate a lot of them in 2016. Ice cream, too, continued to be a big part of my life and joy. I really liked the ice cream I had at Izzy’s in Minneapolis, and at Milkjam Creamery too, where the flavors were a little whacky (like “Saigon Nights” – Vietnamese coffee and Hennessy), but very good. I had a lovely scoop of vanilla ice cream out of the cute little truck parked in the courtyard at Windsor Castle; all of the milk from royal cows. And I had excellent soft serve in Australia. There was a twirl of black truffle soft serve topped with truffle honey and shaved black truffle at Devon on Danks in the Waterloo neighborhood of Sydney. And there was pandan and sea salt soft serve – two separate flavors in a creamy spiral – at Aqua S in downtown Sydney. Despite its unnatural coloring, it was delicious. I was introduced to quite a few traditional, Scandinavian pastries in 2016. I’ve had svele before (in fact, a version of it was among my favorite desserts of 2014). They’re Norwegian pancakes topped with jam, apple sauce, or sour cream. In 2016, my Norwegian friends in Bergen took me to the top of the Fløyen, a mountain perch overlooking the city, for vafler and the view. These large, soft waffles in a clover leaf shape are spread with jam and/or topped with slices of brunost (brown cheese, more commonly known to Americans as gjetost, which is actually the goat milk version of brunost), folded over, and eaten like a giant taco. My friends in Bergen also introduced me to a host of Norwegian yuletide pastries at the latest Friends of Lysverket dinner in December. You’ll find them all described in this previous post. 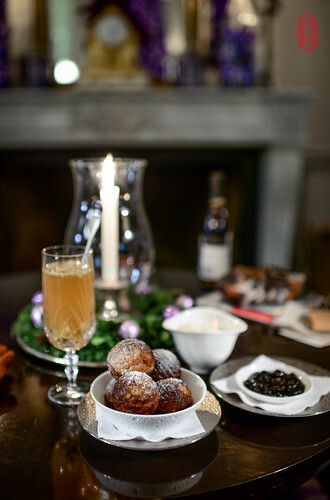 In Copenhagen, my friend Andreas Bagh invited me to the Hôtel d’Angleterre for æbleskiver and gløgg, a cozy pair that traditionally keep Danes warm in the outdoor Christmas markets. They were excellent. And in Jutland, my friend Mark Lundgaard Nielsen’s family hosted a three-day Christmas feast, during which I again indulged in Torben Nielsen’s homemade risalamande. This traditional, Danish rice pudding was among my favorite desserts in 2015. It continues to rank high in my heart. Finding fewer desserts that excited me, in 2015 I trimmed what had traditionally been a list of my 25 favorite desserts down to 15. Despite visiting just as many restaurants as in previous years, I found even fewer desserts in 2016 meriting mention. So, focusing only on what truly impressed and delighted me last year, I’ve decided to cut the list even shorter. Without more ado, I present my 10 favorite desserts from 2016. Like most things at St. John Bread & Wine, the eccles cake is a simple proposition executed exceptionally well. This Victorian “cake” – more bun than bread, filled with currants – is sturdy and sweet, the cheese is sharp and striking; together, a dynamic duo. Blueberry and vanilla ice cream. I hadn’t had a good, boozy baba in a while. And Mark Lundgaard Nielsen served me a great one at Kong Hans Kælder. He stained his with blueberry, doused it with rum, and crowned it with a generous turn of custardy vanilla ice cream. That is my kind of dessert. You just don’t expect something so classic, so good at a diner. 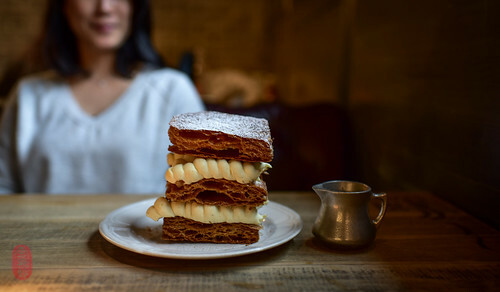 But Au Cheval is no ordinary diner, and its version of the mille-feuille is no ordinary mille-feulle. A half a foot high, if not more, this gorgeous tower of fluff and flakes disappears quickly. That’s because it’s mostly made of air. At least that’s what I tell myself when I’m staring at the empty plate afterward, the site of a delicious crime, the only evidence of which remains is a halo of crumbs. Smoked caramel and cocoa nibs. Besting all the rest in 2015, the milk ice cream at Saison reappears here as one of my favorite desserts in 2016. 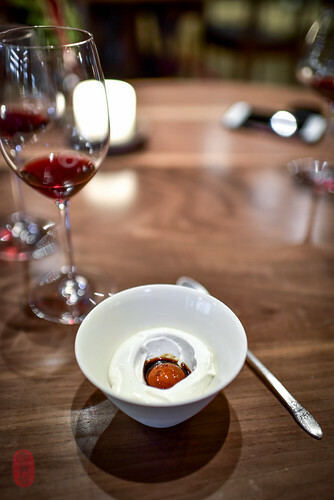 Like much of Joshua Skenes’s food at Saison, simplicity is carried on the shoulders of quality. And this dessert is an excellent example of that. French toast, vanilla ice cream. Like his Bramley apple soufflé, which topped my list of favorite desserts in 2014, Stephen Harris’s rhubarb soufflé captured the juiciness and crisp acidity of fruit and the warmth of the sun, magically suspending all of it in a fluffy cloud. On that late-summer afternoon, with the fresh, seaside breeze blowing through the window propped open with a rock, it was perfect. John and Karen Shields have produced some of my favorite dishes in the past, including my favorite dessert of 2011. After a four-year absence, they’re back in the kitchen. They’ve opened the Loyalist, a casual pub, and Smyth, a high-end restaurant that earned a Michelin star within months of opening in Chicago’s West Loop. A balance of sweet, salty, and tangy, John Shields’s egg yolk, cured in salted licorice syrup and nested in a bank of fluffy yogurt meringue, was one of the best desserts I had in 2016. This jaw-dropping masterpiece was presented to our table whole before being sliced. 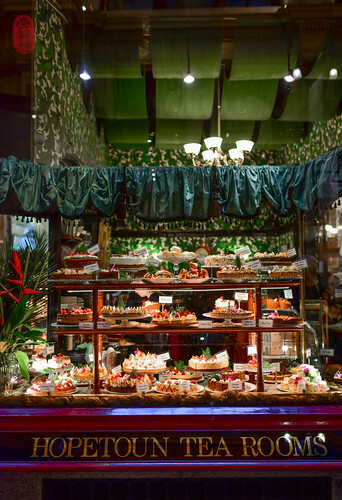 Everything about it was perfect: the mille-feuille flakey and golden, the chiboust creamy and light, and the sugar glass on the profiteroles shatterific. And all of it was subtly perfumed with a layer of chopped Australian black truffles (habitually among the best I’ve had). Thank you, Sixpenny. Chantilly, licorice, green apple-white chocolate, and vinegar granita. 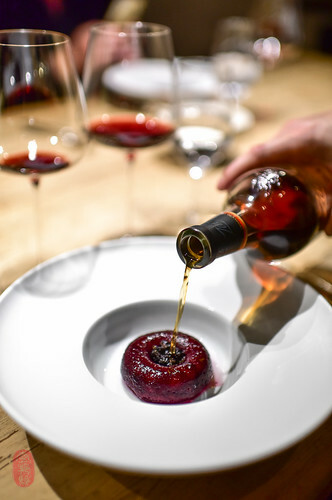 Given the lackluster way with which my meal had been unfolding, I was ready to dismiss Christian Le Squer’s “Strawberry” as just another ornament in this three Michelin-starred palace. But short of saving the meal, this dessert made me sit up with excitement. There are few things more intoxicating to me than the fragrance of berries, and LeSquer presented a whole field of them, concentrated into this ruby-jeweled dessert redolent with the smell and sweetness of strawberries. Creamy white chocolate gave it some body, vinegar kept it lean. It was magnificent. 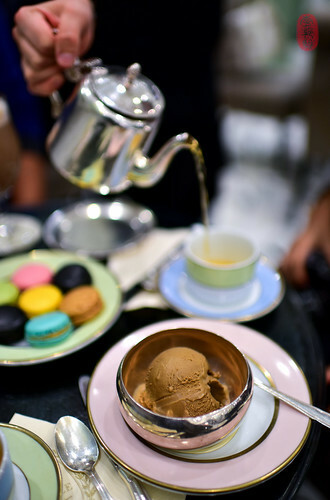 Photos: Kardummumabulle and coffee at Kafé Esaias in Stockholm, Sweden; ice cream and macarons, an afternoon at Ladurée in Sydney, Australia; the magnificent window display at the Hopetoun Tea Rooms in Melbourne, Australia; Boot Café in Paris, France; morning pastry at 108 Café in Copenhagen, Denmark; Bill Smith of Crook’s Corner and his Atlantic Beach Pie at Music To Your Mouth in Palmetto Bluff, South Carolina; April Bloomfield’s banoffee pie at the Synergy Series at Spoon & Stable in Minneapolis, Minnesota; æbleskiver and gløgg at the Hôtel d’Angleterre; Annette Tveit makes krumkake, a traditional Norwegian Christmas pastry at Friends of Lysverket No. 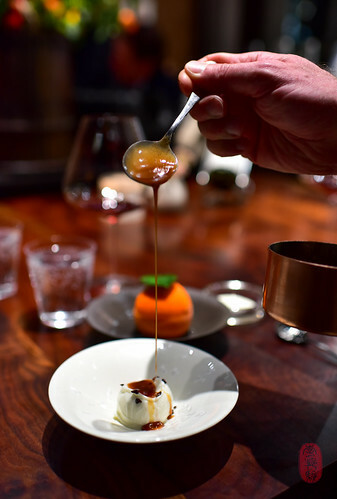 12 at Lysverket in Bergen, Norway; the mille-feuille at Au Cheval in Chicago, Illinois; baba au rhum at Kong Hans Kælder in Copenhagen, Denmark; milk ice cream with smoked caramel and cocoa nibs at Saison in San Francisco, California; egg yolk soaked in salted licorice at Smyth in Chicago, Illinois; and the black truffle St-Honoré at Sixpenny in Sydney, Australia. ~ by ulterior epicure on January 17, 2017.